Cooking with beer is nothing new, beer has been added to sauces, marinades and even cakes for years. For some of my readers this may be a wee bit of a boring article, but I just felt like sharing one of my favorite things to do with beer, other than drink it of course. Mustard is one of the most historic condiments dating back to when the Romans would make mustum ardens (wow, I have used Latin in two different articles) by mixing crushed mustard seeds with unfermented grape juice. My favorite recipe is a little more complicated than that, but it is worth it. The first step is to select a variety of beer which you will sample (with friends) until you find the perfect beer for your mustard. One of the best things about making your own beer mustard, is the number of different flavor profiles you can create. I prefer nut browns and spicy ales, it all depends on what flavors you like and how you are going to use your mustard. Once you have selected the beer you want to use, return to the store and buy more, because if your friends are anything like mine, there is never beer left after a sampling evening. Now that you have replenished your beer, open one while gathering the following items: a food processor or high power blender, a large bowl, a glass container with lid, rubber spatula and jars for storing your marvelous mustard. In a food processor or blender, pulse the mustard seeds until three quarters of them broken or half of them have become powder. You are in control of this as it is your mustard and you can decide what texture you like the best. Transfer the seeds into a glass jar add the remaining ingredients. Stir until the mixture is well incorporated, cover the container and refrigerate for at least 72 hours. Continue sampling beers for your next batch. Once 72 hours has past, put the mustard into a large bowl begin adding the cold water one tablespoon at a time, while mixing with a rubber spatula. Continue adding until you have reached your desired consistency. Taste for seasoning, once you are satisfied, transfer into sealable glass jars and share with friends. Your marvelous mustard will last a month or little more. Many of you may have heard that K-Days is going local. They are the first festival, of their size, in North America to serve nothing but locally produced beer and spirits. Liquor on McLeod is very excited to announce they will be a part of this year’s festivities. 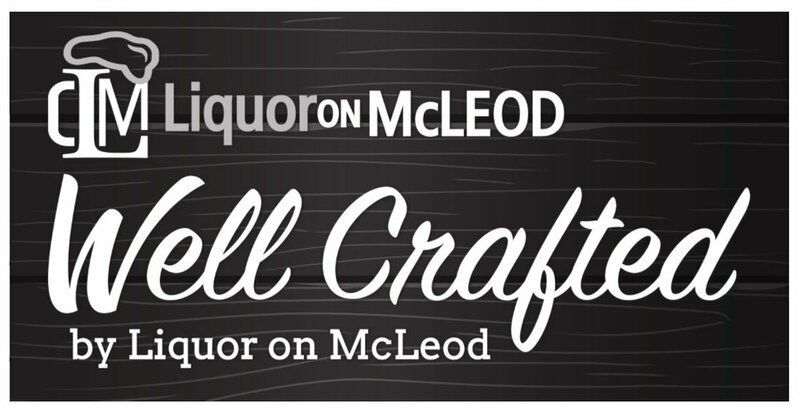 One can find us in Hall G at the Well Crafted by Liquor on McLeod full service bar. Over the 10 days we are hosting craft beer and wine tastings starting a 4 pm. Well Crafted by Liquor on McLeod is a great place to grab a pint or your favorite Rig Hand highball while resting your feet and beating the heat. 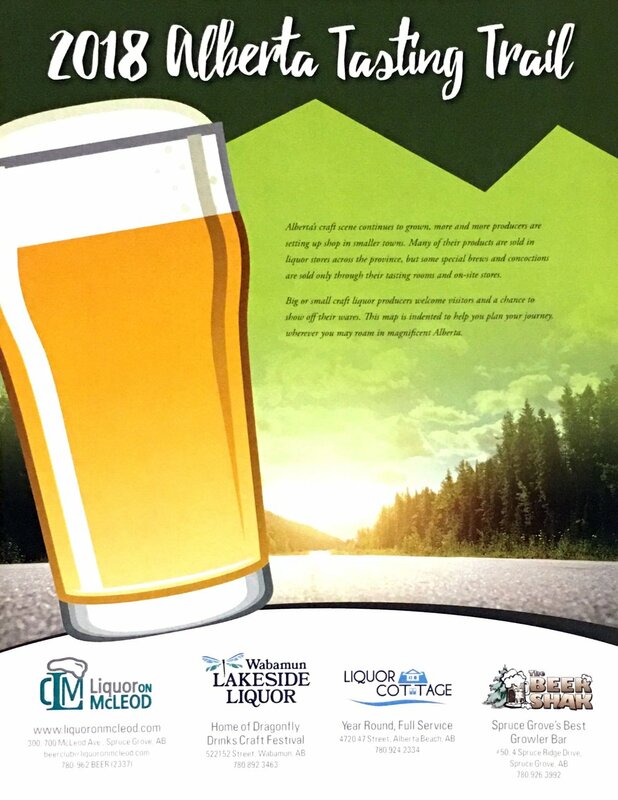 Now that you have your Liquor On McLeod Alberta Tasting Trail map, I thought it would be a good time to go over some of the do’s and don’ts to make the best most of your experience. The tasting rooms found around our glorious province attract people of all ages and walks of life over the love of all things craft. Now, I believe that most of you will know how to behave in a tasting room, but a refresher course can’t hurt. Do – Ask a lot of questions. If you want to know what hop makes your IPA juicy, how a sour is made, what is the difference between a brown, a porter and a stout or what is the difference between a vodka and gin. Ask away! Craft producers love talking about their products and sharing their passion. Don’t – Ask too many questions if there as a long line up or a packed bar. I know you would like to learn more about the products and process; but try to save the small talk for quieter times. Do – Ask for a sample. It is ok to be hesitant about ordering a new beer style or an imperial IPA with triple digit IBU’s. Tasting room staff are always happy to give you a sip or two so that you can order a beer you will enjoy. Do - Bring your children. Most tasting rooms are kid friendly and many of them have toys and activities to keep the little ones occupied. Don’t - Let your little ones run wild. Be mindful of their volume and temperament. If a meltdown comes on, it is time to leave. Do – Wash your growler! If you are anything like me, you have a number of growlers sitting around collecting dust. If you remember to grab one before heading to a tasting room, make sure it is clean. If you don’t, please don’t get mad at the staff for not filling it. They want you to have the best product possible and a crusty old growler just won’t do. Don’t – Get wasted! Tasting rooms are about community and conversation, so please imbibe responsibly. Don’t – Drink and drive, enjoy yourself, make new friends, but make sure you have a safe way home. Do – Tip your server! One might think everyone in the craft industry is getting rich, but you would be wrong, very very wrong.